It keeps me grounded. Things come into better perspective after a run. My favorite memory is when I was completing my first marathon and I came down to the home stretch with maybe ½ mile left. My whole family was there cheering me on and my kids ran on the side of the road as I finished. I like the opportunity to give back. The best experience is when I have people who have stayed with me the entire time and watching them hit their goal time. I enjoy the opportunity to hear the stories on why they run. If they run in my group, they don’t need to worry about checking their time, calculating their pace, etc. –that’s my job. And there is always my bubbly personality. At mile 18, when you feel like you want to slow down–don’t. Stick with the group and we’ll get it done together. Running has been a great experience for me. I love seeing the results of training hard. 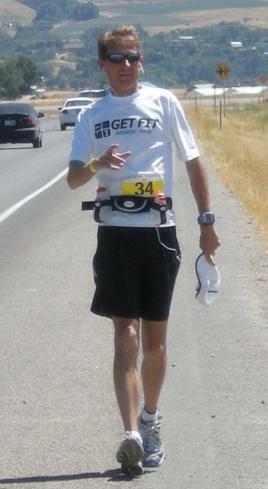 I race direct a 10k/5k race every year as part of the city summer festival.